How personnel are grouped — by activity or function? By process, product, customer type, geography? To what degree is the organization centralized, distributed, or federated? Who reports to whom? How are individual and unit roles defined? The best structure will not guarantee results and performance, but the wrong structure is a guarantee of nonperformance. All it produces are friction and frustration. The wrong organization spotlights the wrong issues, aggravates irrelevant disputes and makes a mountain out of trivia. It accents weaknesses instead of strengths. 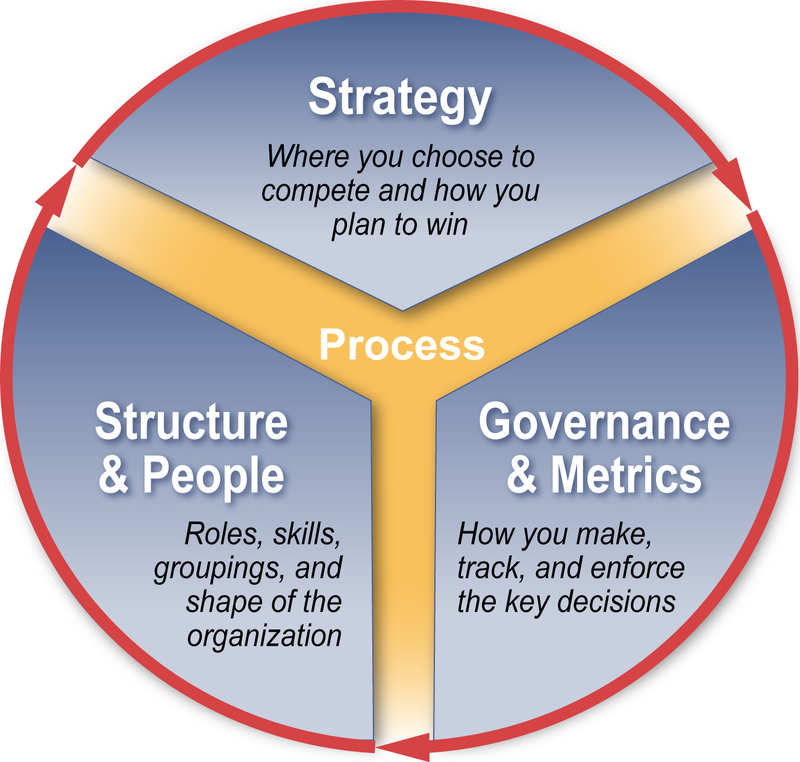 Organizational Architecture requires consistency with strategy (including the value proposition and business model) for the strategy to thrive; and it needs to be consistent with operating governance as well (for example, decision rights and roles within the structure must mesh). And sometimes, even with no material change in the business itself, an organizational change can help re-vitalize a business (for example by re-focusing attention on customers or enabling changes in personnel). In many cases, organizational change — done well — acts as a catalyst. It helps to energize personnel (especially key employees) and can dramatically improve business results.